For a second year in a row, First National Bank (FNB) was named 'Africa’s Most Valuable Banking Brand' in the latest Brand Finance® Africa Annual Survey. 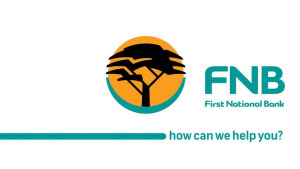 The report notes that FNB, valued at $1.7-billion, is the most valuable banking brand from Africa, growing 20% since 2018. "We are honoured to once again receive this accolade as it reaffirms the strategic direction of our business and the value of our money management relationships with customers," says Faye Mfikwe, FNB chief marketing officer. "This year, FNB celebrates 180 years of existence and, as we reflect on our journey, we believe that our core brand promise of helpfulness has allowed the brand to evolve into one that is customer-centric and uniquely innovative," adds Mfikwe. According to Brand Finance®, the combined value of South African banking brands in the rankings exceeds $8-billion, almost eight times the total of the next country from the continent, Nigeria. South Africa contributes eight of the 18 banking brands in the Brand Finance Banking 500, followed by four from Nigeria, three from Egypt, and three from Morocco. "The success of any brand is dependent on its ability to meet customer needs. Over the years, customers’ needs and expectations towards banking have shifted significantly and this continues to shape the distribution of our financial solutions through an enabling platform," Mfikwe says. "We are acutely aware that customer centricity is the heart of innovation; hence, we are actively partnering with our individual and business clients to ensure mutual and meaningful value," adds Mfikwe. Mfikwe says, "Recognising our customer needs through deep-rooted insights helps us create integrated, helpful and digitally customised financial solutions that have positioned us as a market leader within the industry." "Through a combination of business strategies and financial performance, we have been able to maintain our market position, which has helped future proof our offerings for our customers in the future," concludes Mfikwe. For more information, visit www.fnb.co.za. You can also follow FNB on Facebook or on Twitter.